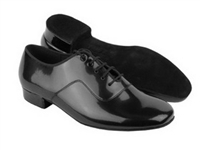 Mens dance shoes in leather or patent leather for standard, smooth dances. Receive your dance shoes WITHIN DAYS with FREE SHIPPING! Please check out our testimonials! Mens standard and smooth dance shoes for your very next foxtrot or waltz. Very Fine mens dance shoes starting at $69.95 might seem like cheap men's dancing shoes due to the price, but they are high quality that you will love. You will dance like never before with the confidence a great dance shoe can give you. Be comfortable and look fantastic. 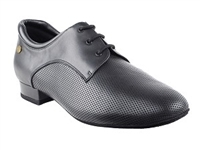 These are cheap mens dancing shoes in price, but high in durability and quality. They are actually the best quality and price for ballroom dance shoes for mens standard and smooth dance shoes available online. When you are dancing foxtrot, waltz or any other smooth standard dance you want to move gracefully through the dance floor. These shoes will give you the fashion you want, the price you need, and the functionality for those movements. Stand out from the crowd with a pair of Very Fine mens dance shoes that help you do what you need to do, and look great at the same time. Mens standard and smooth dance shoes you can wear for literally any dance! If you need help selecting mens standard smooth dance shoes or have any questions at all don’t hesitate to call us at 858-722-8088 for advice from a dancer! We’re here to help, and want you to come back in the future. And don't forget: FREE SHIPPING on ALL VERY FINE MENS DANCE SHOES!